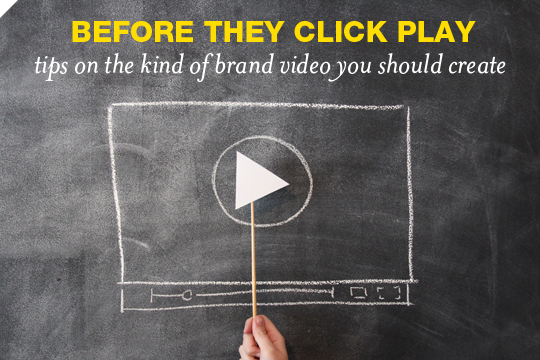 Branded Video is all about creativity. When initiating the early creative stages, you’ll want to ensure that your brand is being presented in a way that informs and entertains, and that isn’t necessarily as easy as it may seem. We’ve got some ideas to help spark your creative minds, and as always, we here at CMG Media are happy to help if your business needs it. Tell people about your product or services. Give the details on features and benefits. Tell them everything they’ll receive once they make the purchase. What do you get asked most about your product or services? Most of us can think of a list of at least 5 to 10 questions we get asked often. Make short 2 to 3 minute video clips where you state the question and then the answer. These are easy to make and extremely valuable to your prospects. Find a product or service that would be of interest to your niche and your audience and do a review on its benefits and features. Make a video about the results you were able to achieve while working with a client or talk about a case study and show what you did for them and how you can do the same for the viewer. You can also show a case study of someone who did not follow your guidance or use the method you teach and failed. Another similar idea is to read testimonials from your most satisfied customers while weaving in key examples. People can relate to you when you tell a compelling story. Weave a lesson into your story as a takeaway. You can also tell about an event from your past that has shaped who you are or how you do business today. Talk about the top three myths in your industry and give real examples to show why they are truly myths. Take your viewers outside of your office and show yourself in your “natural surroundings.” If appropriate, introduce your family and show things that are meaningful to you. Tie in some of your business secrets—how you organize your business, what type of setup you use to get things done, etc. Pull back the curtains and give tips on how you do business. Ask your viewers some key questions that will spark conversation about their wants and needs as they relate to your niche. Personally answer the question yourself and then ask your viewers to leave their answers below in the comments section. This will start discussion. There is so much you can do with video. Besides filming yourself, you can also do screen captures (ScreenFlow for Macs and Camtasia for PCs are great options), slideshows, and use Keynote or PowerPoint slides to tell your story. 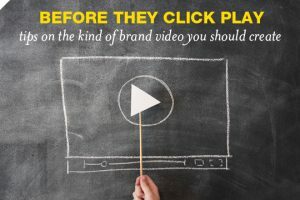 If you’re interested in creating a branded video for your brand, contact us at CMG Media today and let us begin to help you strategize and produce your video!